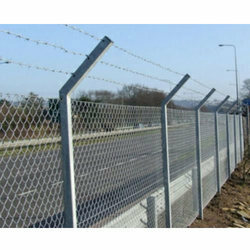 Manufacturer of a wide range of products which include galvanized chain link fence for ground boundary, security fences, aluminium fence and security fencing. 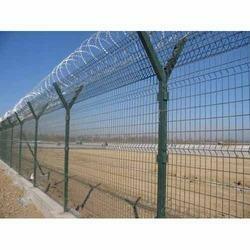 We are renowned for offering premium quality Galvanized Chain Link Fence for Ground Boundary. 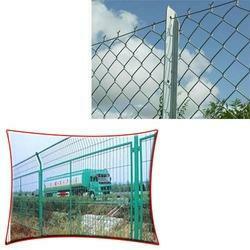 This Chain Link Fencing is highly demanded by clients due to its high reliability. The offered Chain Link Fence is highly durable in nature. These fencing are used in varied commercial and non-commercial areas for security, widely known with its varied names such as Highway fencing,Garden fencing, forest fencing, industrial fencing, township fencing and many more. 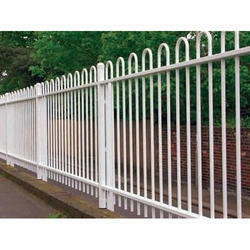 We offer high quality Security Fences to our valued customers. Manufactured with the use of optimum grade factor inputs and advanced technology, offered product gives long working life to the user. Ideally crated to suit the various need of the customers from diverse industry verticals, offered product is in huge demand for its features such as efficient performance, low maintenance, less energy consumption and high quality. Customers can avail offered product at reasonable price in the market. Our company is a private limited owned firm and involved in manufacturing and supplying a wide collection of Aluminium Fence. We offer Security Fencing to our clients at best market prices. Looking for Galvanized Chain Link Fence for Ground Boundary ?